Earlier this year Pokémon fans were treated to the release of the latest Pokémon movie in the UK, I Choose You, but the fun hasn’t stopped there. This month Manga Entertainment have brought us a collection of movies from the Pokémon Diamond & Pearl era of anime. This set contains four movies, but do they promise to offer the entertainment and charm recent Pokémon releases have? As this is a review of four movies, I’ll try to give each film a brief overview and will then discuss aspects like animation, music and voice actors afterwards (given that the production of these movies was helmed by the same staff and they’re all from the same era). I’ve also tried to keep spoilers to a minimum, but as the plots of Movies 10 and 11 directly connect to Movie 12 there may be some story spoilers. Now, let’s begin! Ash and his friends discover shortly afterwards that the true culprits are the legendary Pokémon Dialga and Palkia, who have begun fighting. Their battle has caused Alamos to become displaced from reality, which is leading to it disappearing. The only thing that can potentially save the town is an ancient song known only by a girl named Alice, whom Ash and co. become friends with. Can they fix things before the town and everyone in it disappears forevermore? Next up in the set is the 11th Pokémon movie, Pokémon: Giratina and the Sky Warrior. 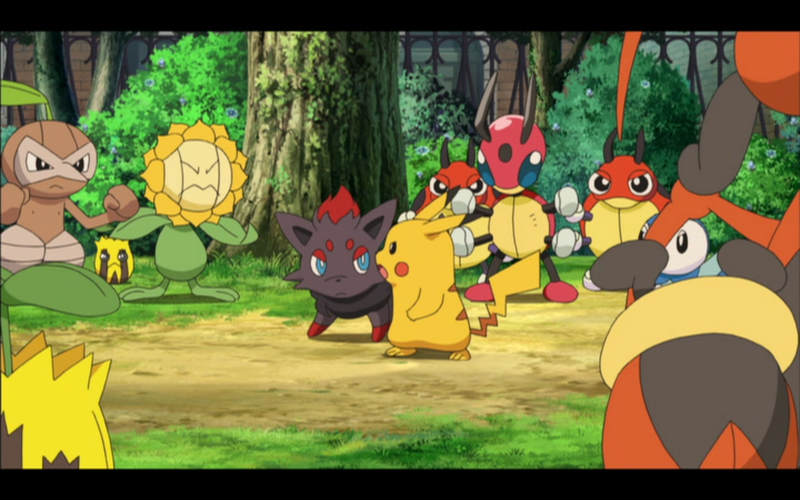 This movie sees Ash and his companions encountering the legendary Pokémon Shaymin, who wishes to travel to a place known as the Flower Garden. Prior to meeting Ash, the Pokémon got itself caught up in a battle between legendary Pokémon Dialga and Giratina, and now Giratina is angry with Shaymin for allowing Dialga to escape from its grasp. The reason Giratina’s angry is due to past events from Movie 10: when Palkia and Dialga were fighting, they caused damage to Giratina’s home – the Reverse World – which is a mirror dimension of Ash’s world. Not only this, someone is trying to take advantage of Giratina’s powers, wishing to destroy Earth and become ruler of the Reverse World. All Shaymin wants to do is go home, but now, caught in the middle of a world-changing event, how will the small Pokémon step up? 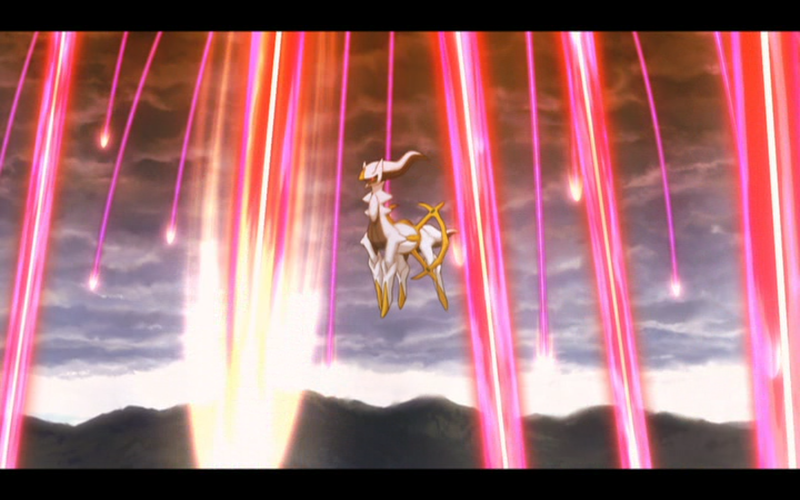 Our third movie is the 12th Pokémon movie, Pokémon: Arceus and the Jewel of Life. Here Ash and his friends encounter the legendary Alpha Pokémon, Arceus, who in the past risked its life to save the Earth from a meteor. Gravely wounded, Arceus is found and and nurtured back to health by a man named Damos. As a show of gratitude, Arceus lends Damos the ‘Jewel of Life’, which transforms Damos’ hometown of Michina into a lush, plentiful paradise. Upon its return for the jewel, Arceus is betrayed and sealed away! During the final moments before the seal is complete, Arceus vows revenge on all of humanity once it eventually breaks free. This fateful hour just so happens to be the time period when Ash and his friends are visiting Michina. With Earth once again about to be destroyed, legendary Pokémon Palkia, Dialga and Giratina appear to try and prevent Arceus’ judgement. Failing to do anything against it and remembering the good Ash did for each of them in the past, the Pokémon continue fighting against Arceus while Dialga sends Ash and company back into the past to try and prevent the betrayal toward Arceus. Will our heroes be able to right the wrongs of the past to save the future? The fourth and final movie of the set is the 13th movie, Pokémon: Zoroark – Master of Illusions. Taking a break from plots of destroying the world, this movie sees Ash and friends encounter the mysterious Pokémon Zorua. The Pokémon reveals that it and its mother, Zoroark, were captured by an evil man, but Zorua managed to escape. 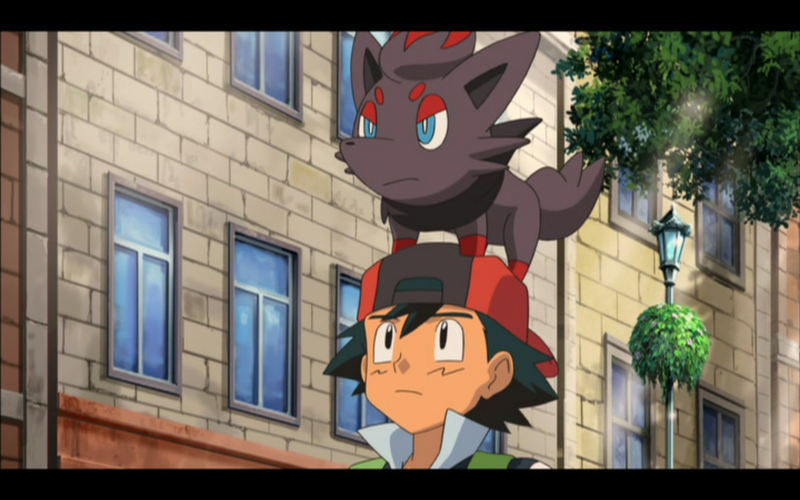 Now wishing to go back and rescue its mother, Zorua requests the help of Ash and his friends. 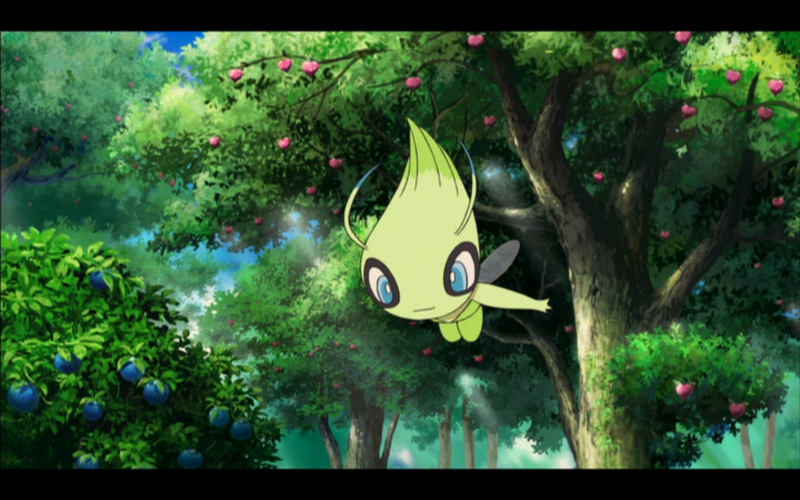 This quest will see our heroes encounter the legendary Pokémon Celebi, as well as Entei, Raikou and Suicune. Are they on the side of Ash or evildoer Grings Kodai, who captured Zorua and its mother in a bid to take control of Crown City and in turn, Celebi. Kodai wishes to claim the power of the time ripple that Celebi creates. With so much at stake, who will come out victorious? If you’ve been reading these plot summaries and noticed a pattern, you’d be right. Three of these four movies are about the world being in danger and watching them back-to-back makes it painfully clear how similar they are. The only real difference between them are their settings, their evildoers, and the Pokémon who temporarily join the team. That said, this doesn’t mean the movies are bad because the majority in this collection aren’t. Looking at them individually, I’m very fond of all of the movies except Arceus and the Jewel of Life. The Rise of Darkrai works hard to develop a plot and cast of characters that you’ll really care about – and it more or less succeeds at this. The only real annoyance for me is that The Rise of Darkrai uses a lot of CGI, much more than the usual Pokémon movie, and that aspect has not aged well at all. In the decade since it was released (in English), CGI has come a long way for anime – and although it still looks clunky much of the time, it’s nowhere near as bad as it was in this movie. It’s a shame because the poor CGI really does bring The Rise of Darkrai down a great deal. The problems with the remaining three movies will be sticking points depending on the type of viewer you are. 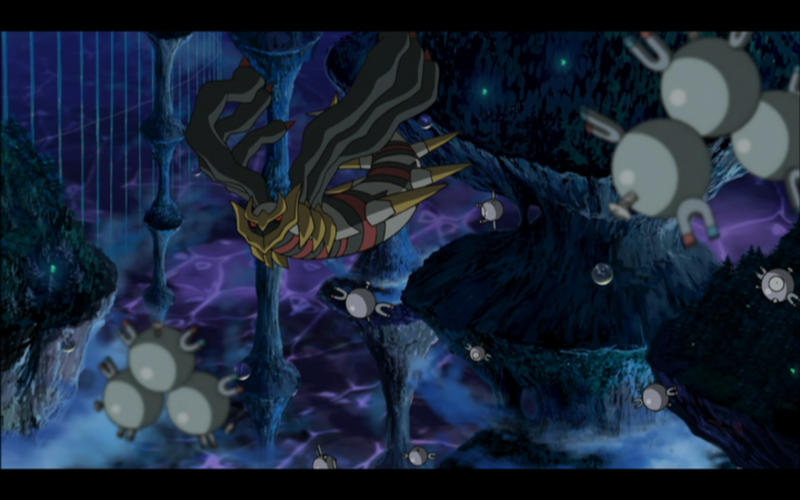 For example, Giratina and the Sky Warrior has a lacklustre villain whose objectives are never really made clear to the viewer. 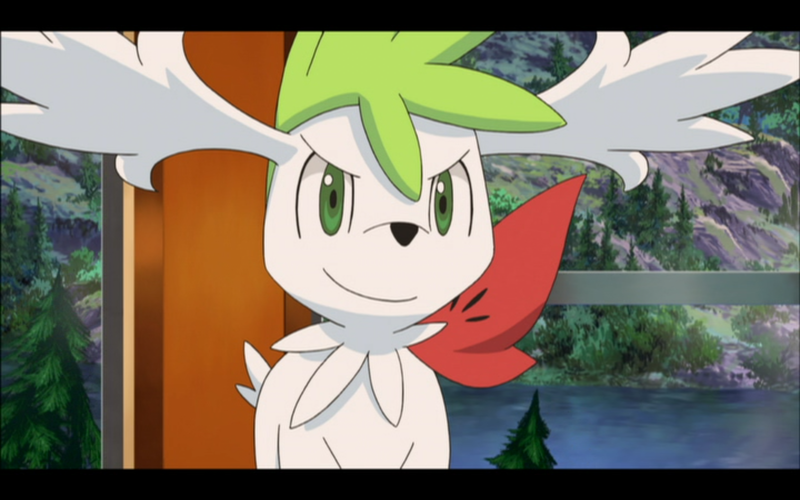 This coupled with the fact that Shaymin speaks and is an irritating little brat might rub you the wrong way – although, admittedly, I’m quite fond of the Pokémon. Meanwhile, Arceus and the Jewel of Life tries to tell a story that relies on the events of the previous two films, but much of it is hand waved away or just not relevant to what Movie 12 eventually settles on. At the end of the day the plot boils down to a legendary Pokémon who is angry with humanity, and the actions of Dialga, Palkia and Giratina in the previous offerings don’t really come into play. I think the disconnect between the stories, and the fact Arceus just doesn’t end up being a good character, leaves this being the worst and most lacklustre movie of the set. Compared to those three mentioned above, Zoroark: Master of Illusions’ problems are more in-line with issues that the majority of the recent Pokémon films have. The story, villain and characters are interesting enough, but the fact that Zorua can talk and takes on the stereotypical ‘snotty’ attitude will leave it divisive for viewers. This is also the first movie in the franchise that really feels like ‘special Pokémon’ are being shoehorned into the story as a way of promoting the video games, special event distributions, and merchandise (in this case ‘shiny’ colour variations of Entei, Raikou and Suicune). This is a huge shame because it takes away from Zorua’s plotline and, in some cases, wastes screen time on something that really didn’t have to be included. Where animation is concerned all of the movies have been handled by studio OLM, and even despite their age (and the fact this is a DVD-only release) they do look bright and colourful. 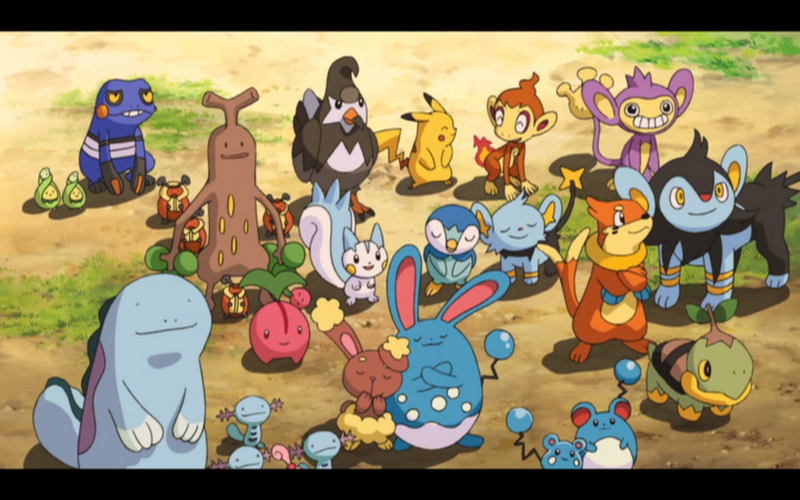 There’s a wide selection of Pokémon involved in any given scene, whether they be in the background or the spotlight, and OLM handles this well. The only real issue where animation is concerned is my previous comments regarding the CGI in Movie 10. These films appear to have been released during a period when the localisation team wasn’t ripping out all of the Japanese version’s music, so we have four soundtracks courtesy of Shinji Miyazaki, who’s been working on Pokémon since the first movie. None of the music stands out on its own but works well within context and at least tries to tug at your heartstrings with some violin-led tracks. Where voice actors are concerned there are far too many to mention given the amount of characters across these four films! However, as usual, Sarah Natochenny (Stephanie in Yu-Gi-Oh! 5D’s), who plays Ash Ketchum, does a remarkable job in her role and conveys Ash’s young, boyish enthusiasm toward the world well. 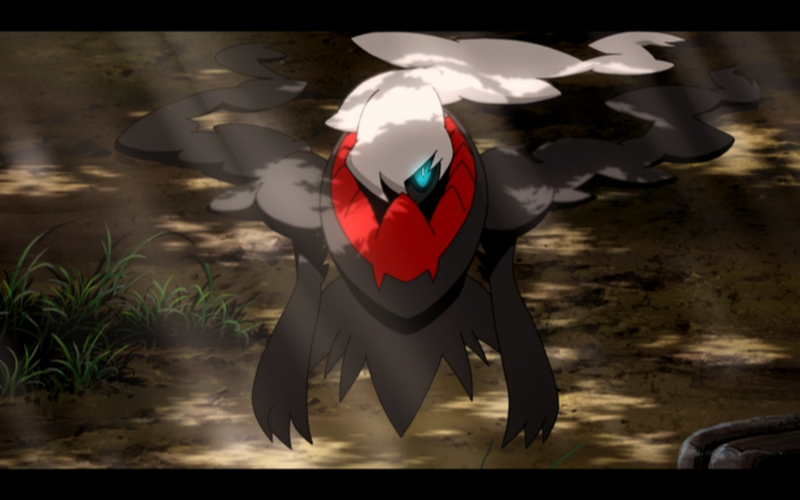 The Rise of Darkrai was actually only her second Pokémon movie since taking over from Veronica Taylor and it’s a role she still plays to this day. This release comes to the UK thanks to Manga Entertainment and is being released only on DVD. As you might expect from a Pokémon release, there is also no Japanese audio on offer, so this is a dub-only set. There are no extras to speak of on or off disc either. 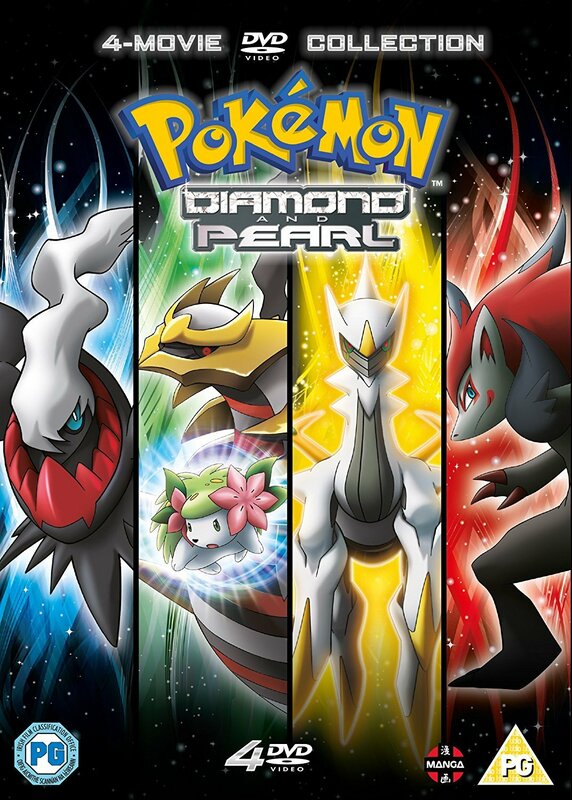 With the Rise of Darkrai now being a decade old (in English), this is a good time to bring the Diamond & Pearl era of movies back to the market. While still being within the period of ‘good’ Pokémon films, this set is worth every Pokémon fan having in their collections. Both new and old fans alike should find something to enjoy among the stories on offer. It’s just a shame that they’re all so similar overall.